i just did every story mission i could find, the last one i did was "Kill Them, Each and Every One"
after finishing the mission and getting the reward, the woman said that every suspect must die for what they did to her husband, but i can't find any mission after this. is this intentionally incomplete in the beta? will they add more later? kind of disapointing not having more story missions. Wrong section. 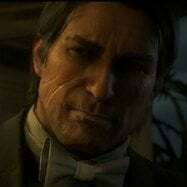 This thread is for Red Dead redemption 2 single player. You want the Red Dead Online section. Yea that's the final mission. Rockstar say they will be continually expanding on it so I'd guess we'll see more missions added regularly once they begin to start rolling out new content.